Chondromalacia,technically termed Chondromalacia Patellae, is the most common cause of chronic knee pain. 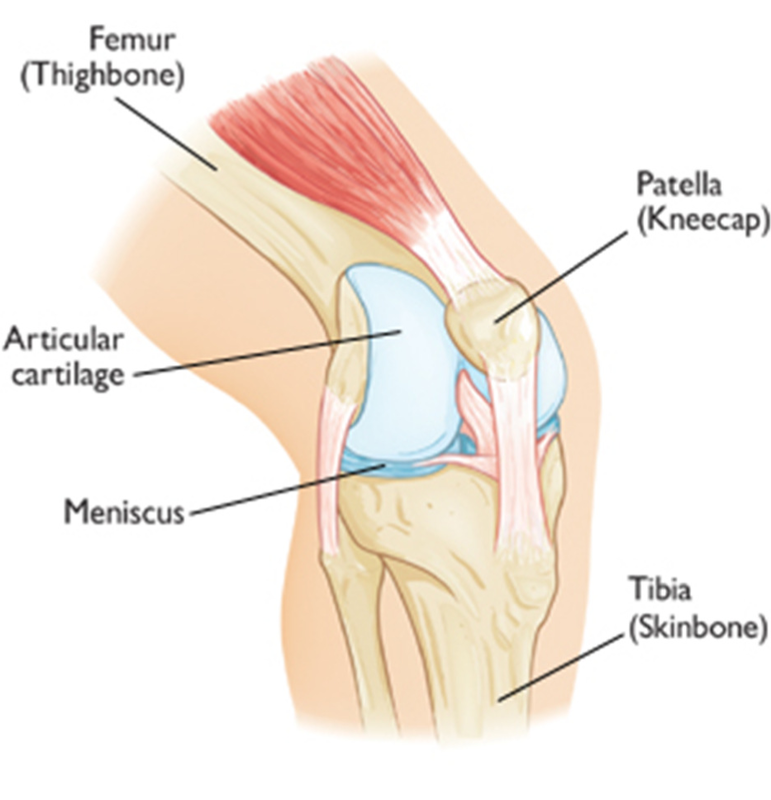 The condition develops due to softening of the cartilage beneath the kneecap (patella), resulting in small areas of breakdown and pain around the knee. Instead of gliding smoothly over the knee, the knee cap rubs against the thigh bone (the femur) when the knee moves. The changes can range from mild to complete erosion of the cartilage. This process may sometimes be referred to as patellofemoral syndrome. The patella is normally pulled over the end of the femur in a straight line by the quadriceps (thigh) muscle. Patients with Chondromalacia patellae frequently have abnormal patellar ‘tracking’ toward the outer side of the femur. This slightly off-kilter pathway allows the under-surface of the patella to grate along the femur causing chronic inflammation and pain. Usually at the beginning of a growth spurt, either due to overuse or no apparent reason. Can continue throughout childhood and become a chronic condition. Often affects the ability to compete in sports. 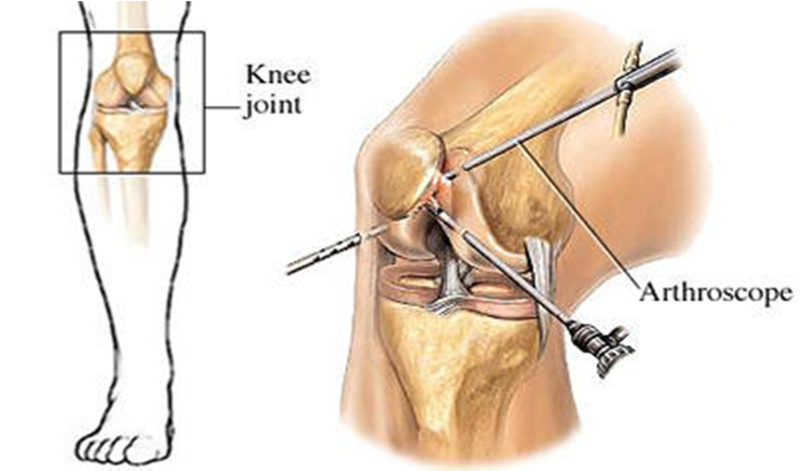 Knee pain continues after the trauma has healed and persists affecting the quality of life. This can occur with or without an associated fracture. This is a chronic case where the pain continues, despite the healing of the ligaments of the knee. This is the most common condition in sports. Often occurs after a change in training patterns, following an injury or for no apparent reasons. situation that requires a greater amount of walking or stair climbing. Tenderness around the patella area is occasionally present. Your doctor will take a complete medical history and perform a physical examination to help determine the cause of the pain. Make sure you inform your doctor about any sports participation or training you are involved in, and which activities aggravate your knee pain. The physical examination will include a check of the alignment of your lower leg, kneecap, and quadriceps, and will also incorporate an assessment of your hip rotation, the range of motion of knees and hips. The underside of your kneecap will be checked for signs of tenderness. Part of the examination may involve you being asked to perform certain movements to assess your knee’s strength, mobility and alignment, such as standing, walking, jumping, squatting, sitting, and lying down. The surgeon may also order x-rays, MRI or CT scans to rule out any damage to the structure of the knee and its connective tissues. Elevation – raising the knee above the level of the heart can assist in reducing swelling. After resting the knee until the pain and swelling go down, you may need reconditioning to regain full range of motion, strength, power, endurance, speed, agility, and coordination. Your physiotherapist may design an exercise program to regain the flexibility and strength of thigh muscles, or recommend cross-training exercises that emphasise stretching the lower extremities. Your doctor will tell you when you may gradually resume running and other activities. Taping the knee, or using a brace, can help in some cases, particularly during sports activities. Special shoe inserts may help to relieve pain and realign the lower leg. Sometimes chondromalacia patellae is not cured by conservative therapy, and it may be determined that surgery is needed. 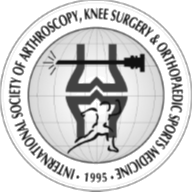 Arthroscopy – The surgeon will make a small incision in the knee to allow a camera to be inserted. This camera is no wider than a pencil and allows the surgeon to see the structures of the knee and any damage that is present. Realignment – The surgeon uses a slightly larger incision to open the knee structure, and realigns the kneecap using a procedure known as a lateral release. This involves cutting the tight lateral ligaments to allow for normal position and tracking of the patella. If this is not sufficient to correct the misalignment, there is more extensive surgery that can be performed. How important is rehabilitation in the treatment of chondromalacia patellae? Stretching and strengthening the quadriceps and hamstring muscle groups is critical for an effective and lasting rehabilitation of chondromalacia patellae. A physiotherapist will see you after your surgery and discuss a plan for your rehabilitation. It would be expected that walking could begin immediately. However physiotherapy sessions could continue for several months. Under optimal circumstances, the patient should have a rapid recovery and return at full functional level. What can I do to look after my knee? Maintaining a regular exercise or physiotherapy program focussing on strength and stability will be of benefit.